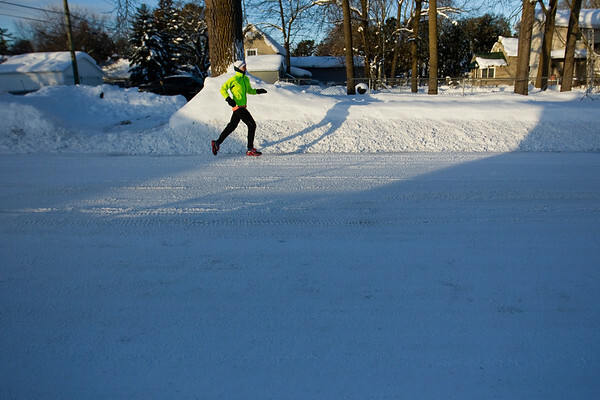 Donna Kaysserian runs through a patch of sunlight on Maple Street in Traverse City on Tuesday morning. Kaysserian said she runs four times a week for exercise, in addition to spinning and weights, regardless of the weather. "I can't imagine staying in the house all winter, that would be the end of me," she said.